Project Perfect Mod :: View topic - OpenRA Playtest 20180825 has been released! OpenRA Playtest 20180825 has been released! 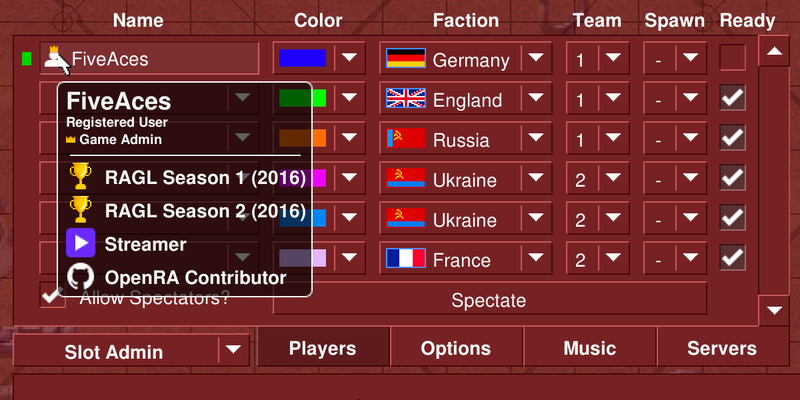 Posted: Sun Aug 26, 2018 5:35 pm Post subject: OpenRA Playtest 20180825 has been released! Subject description: Now recruiting guinea pigs for duty. They are also starting to award special profile badges to players who meet certain criteria, as shown in the picture below. For more information, check the full changelog for all of the changes in this playtest and visit OpenRA Website to download it.